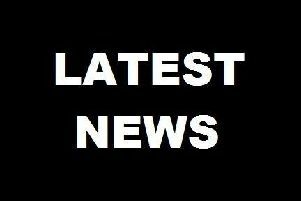 The latest Chesterfield magistrates’ court results as published in the May 12 edition of the Derbyshire Times are listed below. Christopher Arling, 31, of Valley Road, Chesterfield. Pleaded guilty to speeding. Fined £100 and must pay a £20 victim surcharge and £85 costs. Driving record endorsed with three points. Jacqueline Dorothy Rawson, 59, of Eckington Road, Staveley. Pleaded guilty to speeding. Fined £40 and must pay a £20 victim surcharge and £85 costs. Driving record endorsed with three points. Michael McLeish Duffy, 25, of Kipling Road, Chesterfield. Pleaded guilty to taking a vehicle without the consent of the owner. Must pay £200 compensation, a £60 victim surcharge and £85 costs. Pleaded guilty to driving without due care and attention. No separate penalty. Disqualified from driving for six months. Pleaded guilty to driving a car otherwise than in accordance with a licence. No separate penalty. Pleaded guilty to driving without insurance. No separate penalty. Stephen Blackwell, 38, of Brunswood Road, Matlock Bath, Matlock. Pleaded guilty to failing to provide a specimen in an investigation into whether he had committed an offence. Pleaded guilty to being the driver of a vehicle owing to the presence of which an accident occurred whereby damage was caused to another vehicle, a wall and roadside furniture and failed to stop. Pleaded guilty to failing to report the accident. Pleaded guilty to driving without due care and attention. Community order to last until April 27, 2017, with rehabilitation and 200 hours of unpaid work. Must pay a £60 victim surcharge and £85 costs. Disqualified from driving for 28 months. Kim Louise Canlin, 44, of Chesterfield Road, Shuttlewood, Chesterfield. Proved in absence she was speeding. Fined £220 and must pay a £22 victim surcharge and £85 costs. Driving record endorsed with three points. Robert David Harris, 40, of Rhodes Avenue, Chesterfield. Pleaded guilty to speeding. No separate penalty. Pleaded guilty to driving without insurance. Fined £450 and must pay a £45 victim surcharge and £85 costs. Driving record endorsed with six points. Ian Landen, 70, of Highfield Road, Bolsover. Pleaded guilty to speeding. Fined £80 and must pay a £20 victim surcharge and £85 costs. Driving record endorsed with three points. Neil Beresford, 63, of Richard Lane, Tideswell. Pleaded guilty to using a vehicle without insurance. Fined £120 and must pay a £20 victim surcharge and £85 costs. Driving record endorsed with six points. Nathan Joseph Cobb, 26, of Wordsworth Road, Newbold, Chesterfield. Pleaded guilty to driving without due care and attention. No separate penalty. Pleaded guilty to being the driver of a vehicle owing to the presence of which an accident occurred whereby injury was caused to another and failed to stop. Pleaded guilty to failing to report an accident. Committed to prison for 16 weeks suspended for one year with rehabilitation and 200 hours of unpaid work. Pleaded guilty to driving otherwise than in accordance with a licence. No separate penalty. Pleaded guilty to using a vehicle without insurance. No separate penalty. Pleaded guilty to using a tyre which was unsuitable. No separate penalty. Pleaded guilty to using a front off-side tyre when the grooves of the tread pattern were worn. No separate penalty. Ruth Deborah Holmes, 36, of Middlecroft Road, Staveley. Pleaded guilty to speeding. Fined £233 and must pay a £23 victim surcharge and £85 costs, Driving record endorsed with three points. David Mark Reast, 51, of Hillcrest Close, Bolsover. Pleaded guilty to speeding. No totting disqualification due to exceptional hardship. Fined £148 and must pay a £20 victim surcharge and £85 costs. Driving record endorsed with three points. Lynsey Marie Shortland, 38, of Snowfield View, Wirksworth, Matlock. Proved in absence she was speeding. Fined £440 and must pay a £44 victim surcharge and £85 costs. Driving record endorsed with four points. Paula Thelwell, 43, of Nicholas Street, Hasland, Chesterfield. Proved in absence she failed to give information relating to the identification of a driver alleged to have been guilty of an offence. Fined £660 and must pay a £66 victim surcharge and £85 costs. Driving record endorsed with six points. Clive Thompson, 46, of Coach Road, Ripley. Proved in absence that he failed to give information relating to the identification of a driver alleged to have been guilty of an offence. Fined £660 and must pay a £66 victim surcharge and £85 costs. Ben Russell Ward, 23, of Queensway, Stonebroom, Alfreton. Proved in absence he used a vehicle without insurance. Fined £660 and must pay a £66 victim surcharge and £85 costs. Driving record endorsed with six points. Joseph Stephen Ward, 24, of Yew Tree Drive, Chesterfield. Proved in absence he drove a vehicle while using a hand-held mobile. Fined £220 and must pay a £22 victim surcharge and £85 costs. Driving record endorsed with three points. Dawn Elizabeth wells, 54, of Chesterfield Road, Brimington, Chesterfield. Proved in absence she failed to give information relating to the identification of a driver alleged to have been guilty of an offence. No totting disqualification due to exceptional hardship. Fined £515 and must pay a £52 victim surcharge and £85 costs. Driving record endorsed with six points. Malcolm Geoffrey Troke, 33, of Thorntree Court, Grangewood, Chesterfield. Admitted failing to comply with a community order. Dealt with for the original offences which were subject to the community order of entering a building as a trespasser and stealing a bicycle and failing to surrender to custody. Committed to prison for 14 weeks. Kyle Kerr, 19, of Meynell Close, Chesterfield. Pleaded guilty to using threatening behaviour. Community order to last until April 28, 2017, with 200 hours of unpaid work. Must pay a £60 victim surcharge and £85 costs. Anthony Isaac Bilson, 26, of No Fixed Address. Pleaded guilty to two counts of stealing coffee. Admitted failing to comply with supervision after release from prison. Pleaded guilty to failing to surrender to custody. Committed to prison for ten weeks. Must pay £32 compensation. Stuart Donaldson Stevenson, 25, of Lancaster Road, Newbold, Chesterfield. Pleaded guilty to stealing whiskey. Community order until April 27, 2017, with alcohol treatment and rehabilitation. Fined £40 and must pay £9.50 compensation, an £85 victim surcharge and £85 costs. Admitted committing a further offence while subject to a conditional discharge for an offence of theft. No action taken on the breach. Admitted committing a further offence while subject to a conditional discharge for a theft and failing to answer bail. No action taken on the breach. Scott Fraser, 44, of Park Street, Chesterfield. Pleaded guilty to stealing DVDs. Conviction of an offence while a community order for three thefts was in force. No adjudication. Dealt with for the original offences which were subject to the community order. Community order with a Drug Rehabilitation Requirement and a Rehabilitation Activity Requirement. Must pay a £60 victim surcharge and £85 costs. Shaun Adrian Svilts, 46, of Sheffield Road, Chesterfield. Pleaded guilty to stealing razors. Must pay a £115 victim surcharge and £85 costs. Admits committing a further offence during a conditional discharge for a theft and admits committing a further offence during a suspended sentence for two thefts. No adjudication. Dealt with for the original thefts which were subject to the conditional discharge and suspended sentence. Committed to prison for 16 weeks. Admitted failing to comply with a suspended sentence. No action taken.